The greatest enemy of composting in the winter season is the drops in temperature. This situation is not ideal for the composting process because it delays the breakdown of organic materials due to the lack of heat. Some people let their compost go dormant during the winter, but you don’t stop producing kitchen scraps even if its winter so it is important to keep the composting process active all throughout the year. 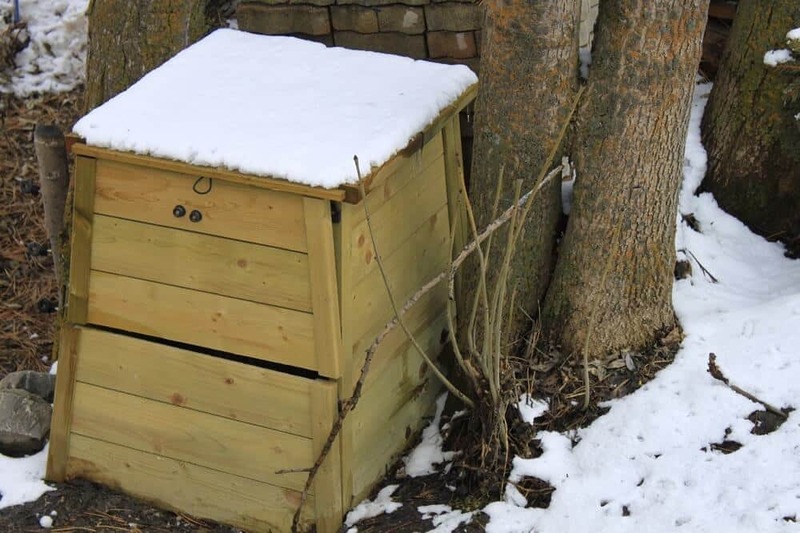 There are several advantages to composting even in winter. For one, you will generate fertilizer for gardening in spring. Second, an outdoor system, like a compost tumbler, has a larger capacity than an indoor system. he best method of winter composting is through a compost tumbler because it ensures warmth for your compost during the winter season. For effective winter composting in a compost tumbler, the secret is preparation. Here’s how you can use a compost tumbler to produce compost during the winter season. Carbon-rich brown materials are needed to balance out the nitrogen-rich green ingredients in the compost tumbler. Green materials are easy to access because you still have kitchen scraps even in winter. However, most brown materials, like dried leaves, are available only in the fall. To prepare for the winter season, collect fall leaves and store them in a dry place. Fall leaves must be moderately brown in color to keep a healthy ratio between the brown and green ingredients in the composter. Microbes are more active when they are in a warm environment. Microbes break down the organic materials into healthy compost. To prevent a slowdown in the composting process, you should insulate your compost tumbler by placing it in an area where the sun can reach the composter, even if only on rare occasions. To keep the pile warm, you can add ingredients that aid in insulation. Some good insulators include dried leaves, straw, or strips of newspapers. This is where your collection of fall leaves will come in handy. Before winter begins, make sure that you have harvested all of the compost inside the compost tumbler. This makes room for new ingredients to be combined together in the pile during the cold winter months. Begin loading the ingredients into the composter with a layer of brown materials. Add the new mix of compost, and then add another layer of brown materials. Layering keeps the active compost warm. Compost tumblers are tightly enclosed so rain should not be a detriment to the composting process. However, moisture may still penetrate the tumbler during the winter months. This could be caused by a lack of brown materials to soak up the moisture produced by the breakdown of the green materials. Since most compost tumblers are aerated, the high humidity may cause excess moisture. If this happens, you can add some dry leaves to absorb the wetness from the pile. If there is standing water in the tumbler, you can also open the drain holes to let the water drain out. A compost tumbler is designed make the whole composting process easy and efficient. 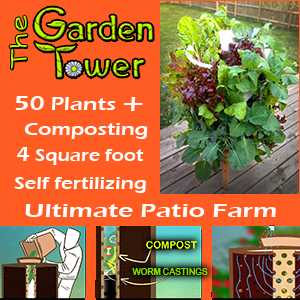 The base provides support so you can spin it easily to mix the components of the compost pile. There is an aeration system for better airflow through its vent holes, spikes, and punctured tubes. A tight seal on the door keeps the compost pile securely inside while the tumbler is rotated. A dark colored tumbler helps to maintain heat inside the tumbler. Bacteria is kept alive by the constant addition of ingredients. Its best feature of a compost tumbler is that it is rodent-resistant and also keeps other animals out. Keeping the compost contained makes for a neater compost pile and reduced odor. Some models of composting tumblers have dual compartments, like the Jora JK125 Composter, which allows you to compost a batch of active compost while the other batch is still being developed. Due to the height of these composters, they are the best method of active composting even in winter. EZ Compost Wizard. This composter is preassembled and needs minimal maintenance. You can have healthy compost in as little as two weeks with just a single turn per week. The lid securely seals your compost inside. It has a sturdy, stable design that can withstand even strong winds. JK 270. This compost tumbler has two chambers. This enables you to use two compartments to compost organic materials at the same time. In as little as two weeks, green ingredients can be converted into healthy humus thanks to its great insulation properties. Its elevated design keeps it safe from rodents and any other animals. UCT9. This composter can deliver compost in less than two weeks due to its creatively designed airflow core. The horizontal axle that supports the drum makes it easy to turn. The drum is suspended off the ground making it rodent free and odor free. Even in harsh weather conditions, its surface and parts will not rust. The UCT9 it is designed for durability. Each of these compost tumblers offer advantages that will make your composting process easier during the winter months. It is important to note that compost tumblers are more expensive than compost bins. However, they are proven to be great investments in the long run because they offer convenience you don’t get with a compost bin. If you opt for a tumbler over a bin, you will be glad when you find yourself loading some kitchen scrap into the compost tumbler and you don’t have to lift a tarp filled with rain or snow.